Wallpaper is back! 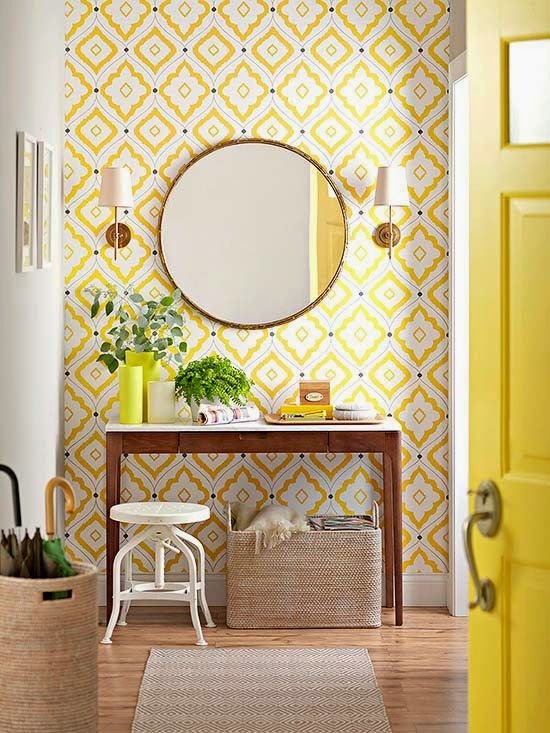 Wallpaper fell out of popularity, but in the last few years, it is once again becoming a popular alternative to paint. 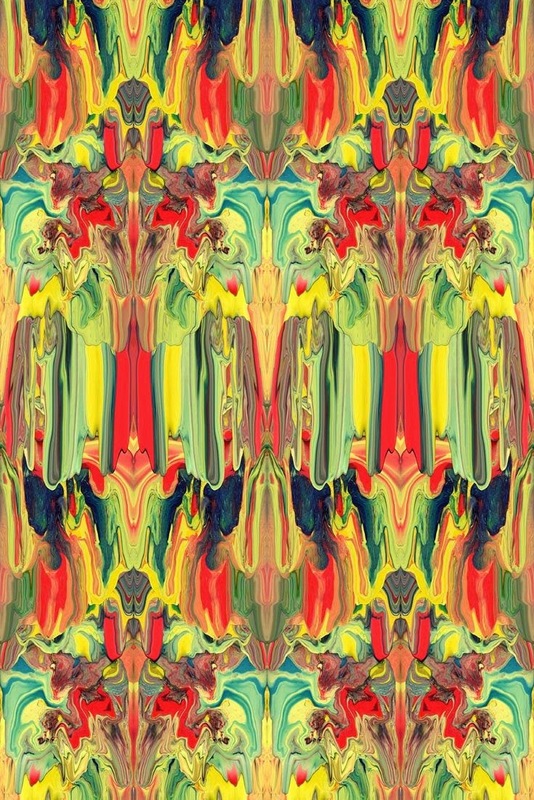 It’s appeal is that, as opposed to painting murals (which depend on the skill of the artist), you can buy funky color patterns, or bold designs, and know that you’ll get a reliable, and hopefully fun, look (as long as you apply the wallpaper well…might want to hire a professional). There have been advances in how wallpaper is made, and what is used to apply it to the walls. In the past, moisture was a huge concern (especially in humid climates like Louisiana). Moisture could cause the wall paper to peel, mildew could form underneath the paper (which smells), or worse, mold could find a breeding ground on your walls. But a lot of theses issues have been addressed, and wallpaper is back as an attractive option. Though a geometric pattern may not be my personal favorite, this room achieves a unique balance, even with the busy wallpaper; the wallpaper isn’t the only accent in the room. 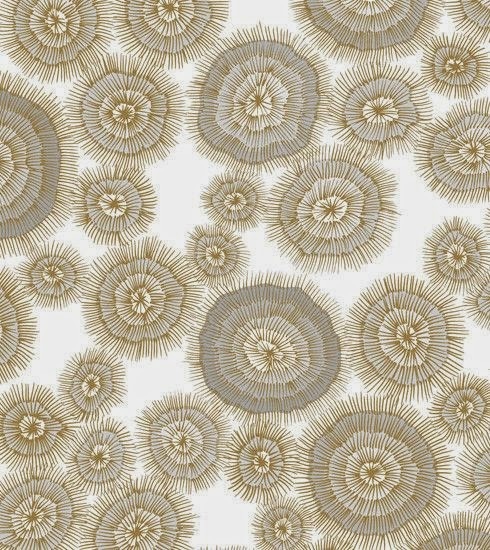 Love this neutral but spunky wallpaper. So versatile in that it pulls both cool tones from the gray and warm tones from the gold/tan. Click here to see wallpaper. WOAH–what a wallpaper. Definitely not for everyone, but I love the bold marble effect. And in the right installation, this could really be a show stopper. Click here to view wallpaper. 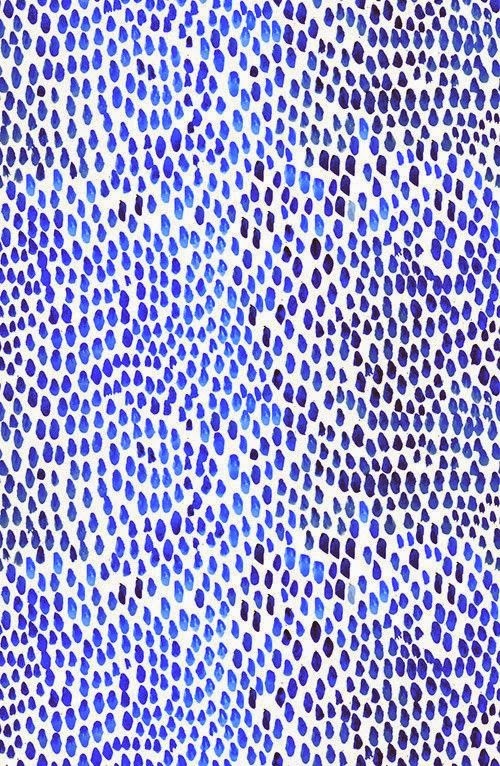 This pattern mimics the trendy dalmatian or les touches that we are seeing in black and white. I like the blue and white and the variation of blue tones within it. Click here to view wallpaper. 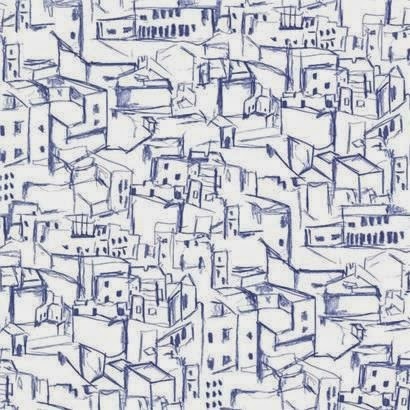 I can see this wallpaper used in a small space such as a powder room or a focal wall. When the wallpaper gets busy, remember to use it sparingly. Click here to view wallpaper. 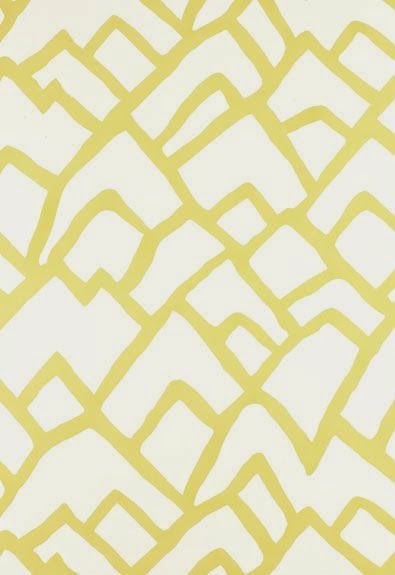 This geometric print comes in many different colors and would work well in a lot of spaces. Click here to view wallpaper.